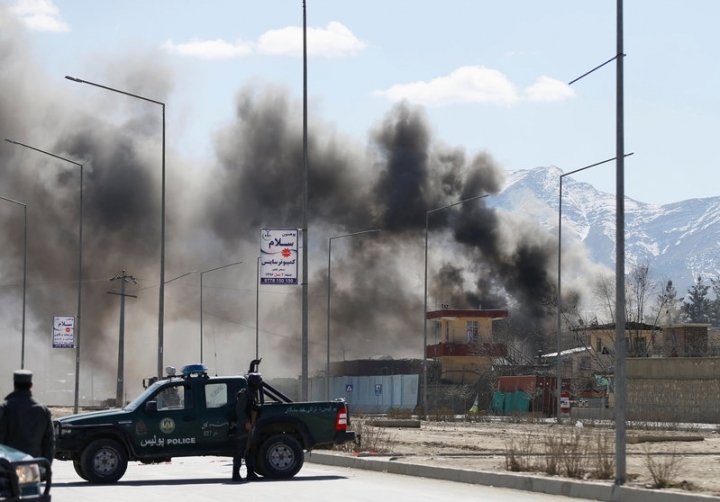 KABUL (Reuters) - Afghan Taliban militants said they attacked police, military and intelligence targets in Kabul on Wednesday, as security officials confirmed attacks in two areas of the city that killed at least 15 people and wounded dozens. A powerful explosion was heard across the city as a car bomb was detonated near a police headquarters in the west of the city, the interior ministry said. The blast was followed immediately by gunfire between security forces and an unknown number of attackers. Fighting at police headquarters, not far from a military training school, lasted for several hours with gunmen barricaded inside the building. Najib Danesh, a spokesman for the interior ministry, said the attack was neutralized by late afternoon and security forces were conducting checks of the area. 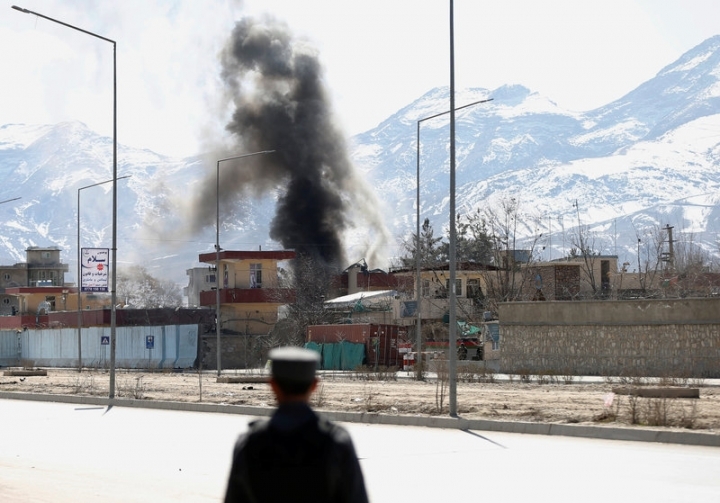 He said 15 people, including 11 civilians, were killed in the attack and in a separate one minutes later at an office of Afghanistan's main intelligence agency, the National Directorate for Security (NDS), to the east of Kabul. Another 50 people, including women and children, were wounded in the two attacks. A senior army official said the attack on the NDS office was over more quickly. "Two terrorists entered a building. One blew himself up and the second was shot by Afghan security forces," said Abdul Nasir Ziaee, commander of 111th corps based in the east of the city. 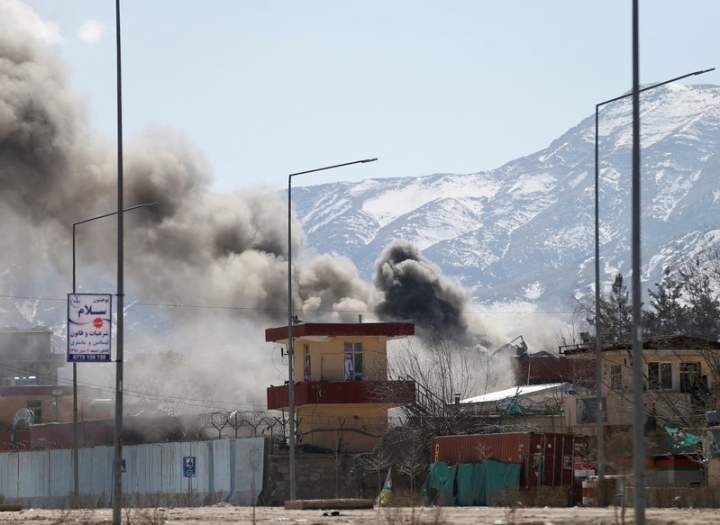 A spokesman for the Taliban, who sometimes exaggerate the impact of their operations, sent a statement claiming responsibility for the attacks, which he said had killed dozens of soldiers, police and intelligence officials. Last month, a suicide bomber killed at least 20 people outside the Supreme Court in Kabul. The Islamic State militant group claimed responsibility for that attack. The Taliban are seeking to expel foreign troops, defeat the U.S.-backed government and reimpose Islamic law after their 2001 ouster. 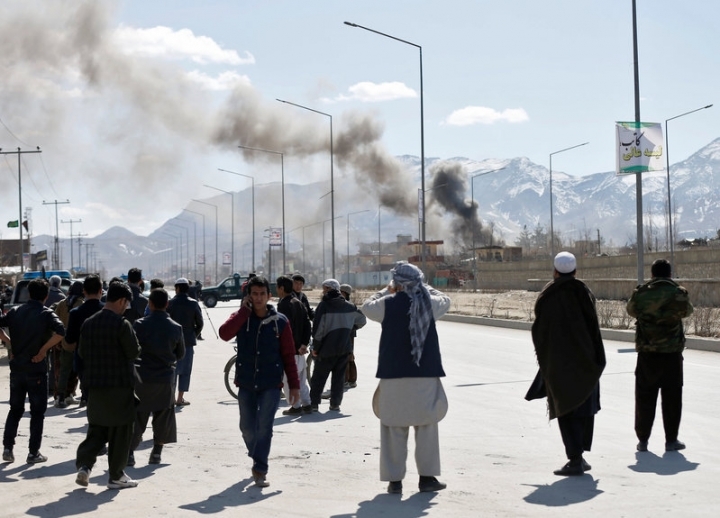 The Wednesday attacks come shortly ahead of the period when the Taliban usually announce a spring offensive, and underline warnings from Afghan officials that they faced a difficult year. In the northern province of Baghlan, the Taliban seized control of a district center after days of heavy fighting. Faiz Mohammad Amiri, governor of Tala wa Barfak district, said the Taliban had taken control. Four members of the security forces had been killed and another four wounded. The Taliban's main spokesman Zabihullah Mujahid, said light and heavy weapons had been captured. Government forces have struggled to control the insurgency since a NATO-led force ended its combat mission in 2014. According to U.S. estimates, Afghan government forces now control less than 60 percent of the country although they hold all main provincial centers.